Snowshoe around our vineyards and enjoy the beauty in the winter! Learn about cool climate viticulture and wine making while you taste 5 of our favourite wines. 0.5km, 1km and 2km trails are ready for you to enjoy! Snowshoe rental of $10/person and a tasting of our wines or ciders at the Tasting Bar. Feel free to bring your own snowshoes, and enjoy the trails at no charge. Then cozy up to the Tasting Bar and enjoy a tasting any one of our five wines or ciders for a quintessential Canadian Vineyard experience! 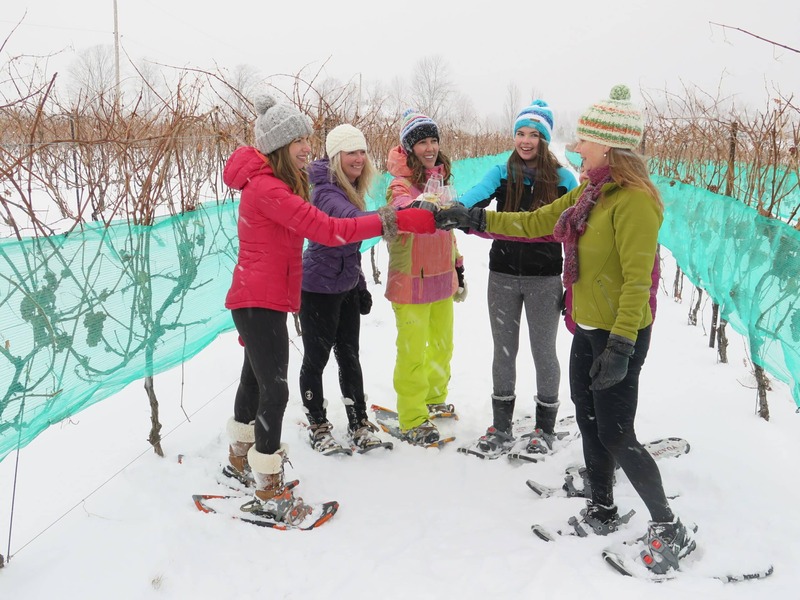 Snowshoeing is available during winery hours. Last admission to the trails is 4pm. Make sure to check in with us at the winery to receive a trail map! Flat snow boots, ski jacket, hat, gloves and perhaps a scarf are recommended.